This tremendously beneficial article is a translation of an article compiled by our Shaykh ‘AbdulQaadir al-Junayd (hafidhahullah) regarding the benefits with which Imaam al-Aajurri paid tribute to the farewell sermon of the Prophet (sallAllahu ‘alayhi wa sallam). 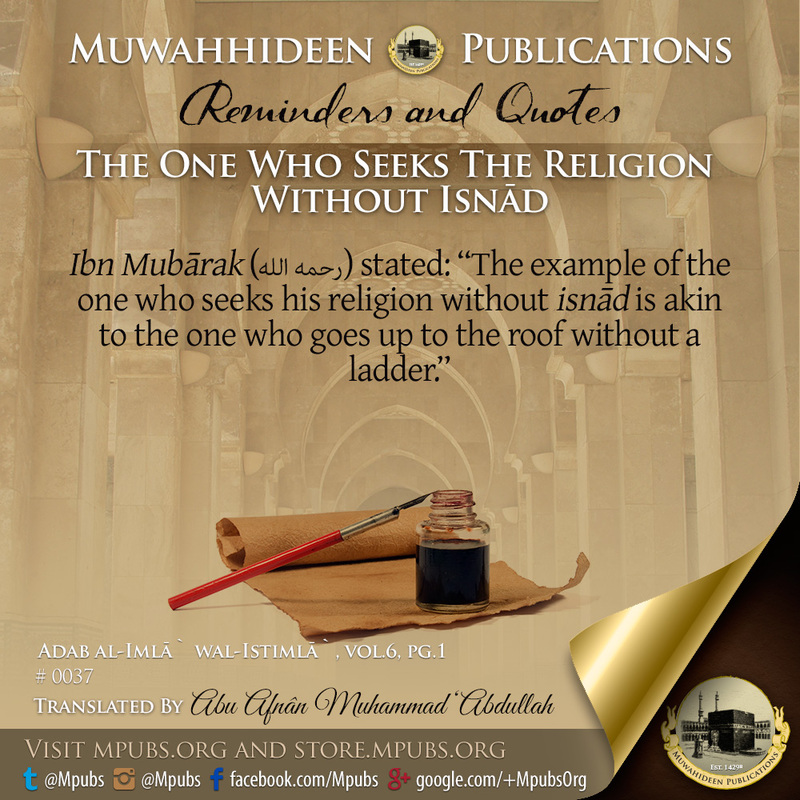 This article was translated by our noble brother Abu Afnaan Muhammad Abdullah (hafidhahullah). From this knowledge: Is the fact that ‘Irbaad Ibn Saariyah said, “The Prophet (sallAllahu ‘alayhi wa sallam) advised us with a touching sermon from which the eyes watered and the hearts trembled.” Hence, they were able to distinguish this speech from others. He did not say, “We yelled from his speech or we screamed or we struck our heads or that we beat our chests, or that we celebrated, or that we danced, like what many of the ignoramuses do when they scream and shriek during admonitions.” All of this is from Shaytaan playing with them and all of it is bid’ah and misguidance. Know that the Prophet (sallAllahu ‘alayhi wa sallam) is the most honest person in his counsel and the one most prone to advising his nation. He is the most kind-hearted of people and his Companions are the most soft-hearted of people and the best of people who came after them. The intelligent person has no doubt concerning this. They did not scream during his admonishment, nor shriek, nor dance, nor celebrate. If these actions were correct, then the Companions of the Prophet (sallAllahu ‘alayhi wa sallam) are the most worthy of people to do these things in the presence of the Prophet (sallAllahu ‘alayhi wa sallam). 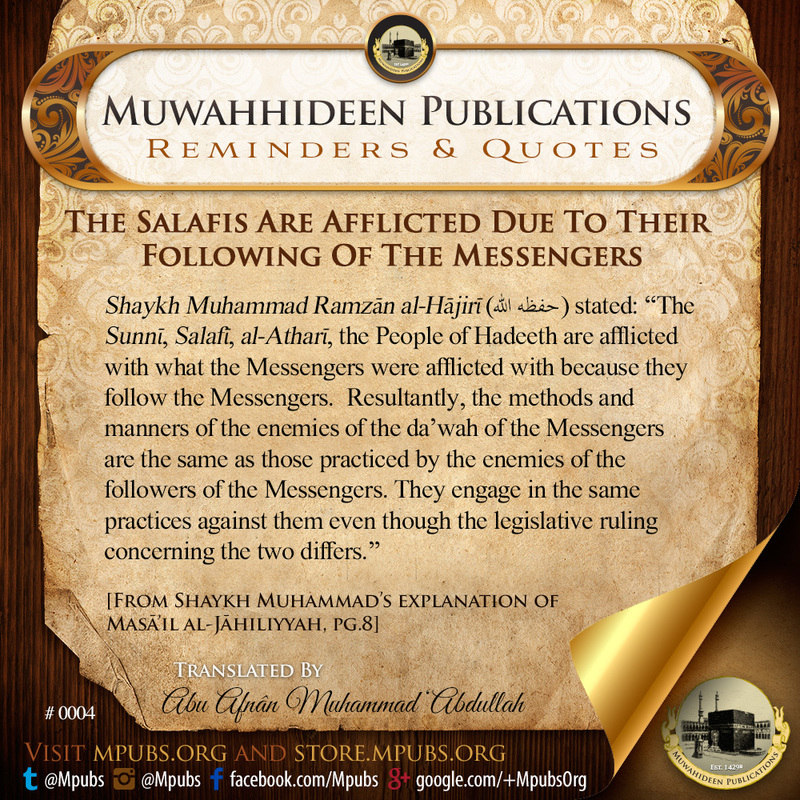 However, these affairs are bid’ah and they are detestable, so know this. Therefore, adhere to the Sunnah of the Prophet (sallAllahu ‘alayhi wa sallam) and the Sunnah of his Rightly Guided Caliphs and his other Companions (May Allah be pleased with all of them). 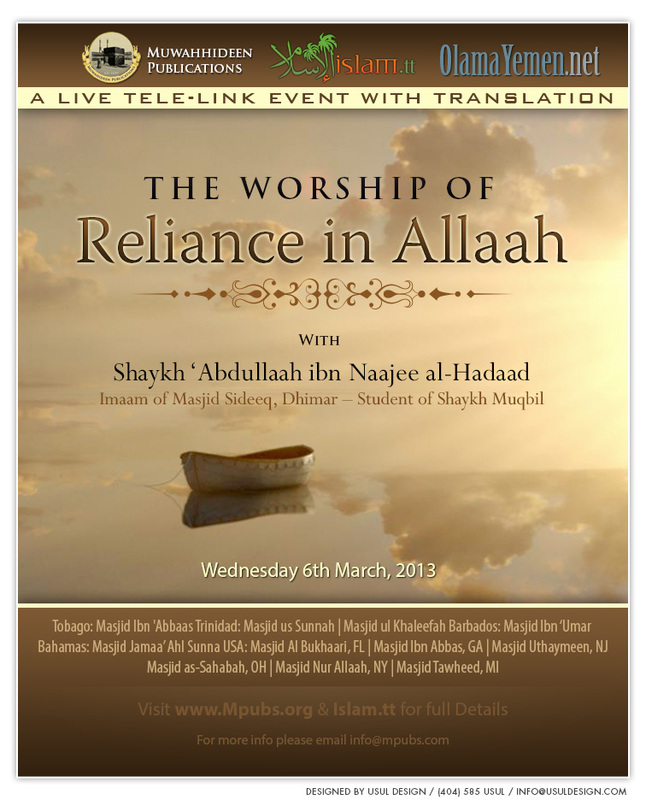 The Noble Shaykh ‘Abdullah Ibn Naajee al-Hadaad (May Allah Preserve Him) from the mashaayikh of Dhimaar, Yemen delivered a LIVE tele-lecture with Muwahhideen Publications on Wednesday 6th March 2013 on the topic of reliance on Allah. Shaykh ‘Abdullaah al-Hadaad is a student of Ash-Shaykh Al-Allaamah Al-Muhaddith, the Imaam of Yemen, Shaykh Abu ‘Abdur Rahmaan Muqbil Ibn Hadee al-Waadi’ee (rahimahullah) and is currently the Imaam of Masjid Siddeeq in Dhimaar, Yemen. This event was broadcasted LIVE in Masjid Ibn 'Abbaas, Tobago, two masaajid in Trinidad, Masjid ul Khaleefah and Masjid us Sunnah, and six Masaajid in the U.S. Masjid Al-Bukhaari, Florida, Masjid Ibn 'Abbas , Georgia, Masjid Uthaymeen, New Jersey, Masjid Nur Allaah, New York, Masjid as-Sahabah, Ohio and Masjid Tawheed, Michigan. This lecture event was translated LIVE into English. On Tuesday 22nd January, 2013, Muwahhideen Publications hosted a LIVE tele-link lecture with Shaykh ‘Abdullaah Ibn Naajee al-Hadaad (May Allaah Preserve Him). Shaykh ‘Abdullaah al-Hadaad is a student of Ash-Shaykh Al-Allaamah Al-Muhaddith, The Imaam of Yemen, Shaykh Abu ‘Abdur Rahmaan Muqbil Ibn Hadee al-Waadi’ee (rahimahullaah) and is currently the Imaam of Masjid Siddeeq in Dhimaar, Yemen. This event was broadcast LIVE in Masjid Ibn 'Abbaas, Tobago, two masaajid in Trinidad, Masjid ul Khaleefah and Masjid us Sunnah, and six masaajid in the U.S. Masjid Al-Bukhaari, Florida, Masjid Ibn 'Abbas, Georgia, Masjid Uthaymeen, New Jersey, Masjid Nur Allaah, New York, Masjid as-Sahabah, Ohio and Masjid Tawheed, Michigan.